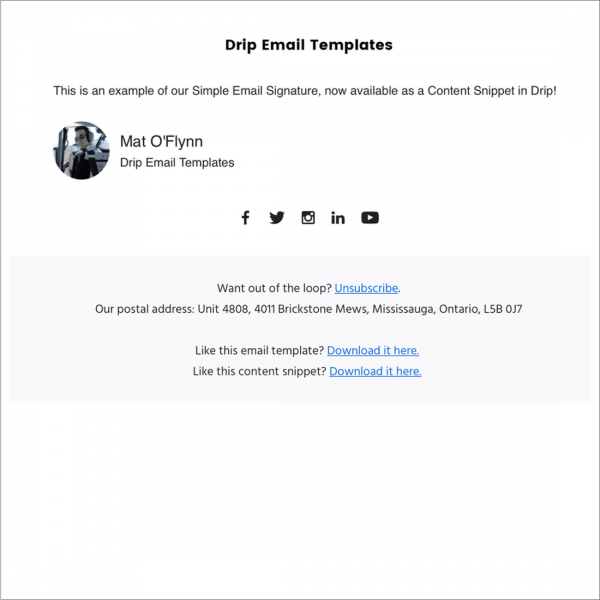 Easily add an email signature to any Drip email! Whether you are using a pre-designed email template or Drip’s default ‘Simple’ template you can now easily add a custom email signature by using a Drip Content Snippet. 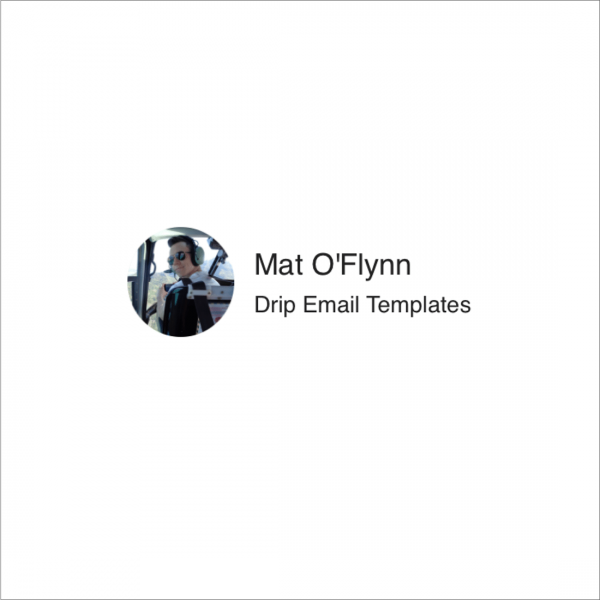 To import your Simple Email Signature navigate to the three dots at the top of your Drip account > Email Setup > Content Snippets and paste the provided code you’ll receive in a Word document after purchasing. Then in any Drip email click the ‘Personalize’ button > Content Snippets > Insert. Voila, you can now add a custom email signature for every team member!